The European outdoor Championships in Berlin this summer bore witness to some extraordinary distance races that were many people’s highlights of the week at the Olympiastadion. Whilst Dina Asher-Smith’s three golds took some beating as star of the Championships young Norwegian Jakob Ingebrigtsen certainly at least equalled her feats with his stellar runs. 17-year-old Ingebrigtsen first took 1500m gold and a day later triumphed in the 5000m, enthralling the 60,000 spectators and ensuring long-distance running will be centre stage at the 2019 European Indoor Championships in Glasgow. Here, we take a look back at some of the best long-distance races in previous European Indoor Championships. In Glasgow next year Laura Muir will attempt to defend at least one of her memorable 1500m and 3000m titles won in Belgrade in 2017. Muir became only the second woman to achieve the long-distance double at the European Athletics Indoor Championships with a mesmerising performance that sees her now hold the records in both events. At the Kombank Arena, Muir sent shockwaves around the world by claiming a maiden major track title of her career in the 1500m. Less than 24 hours later Muir had made it double gold, flying past then European 5000m and 10,000m champion Yasemin Can on the final lap of the 3000m, setting a new championship record of 8:35.67. The Championships record for the men’s 3000m was set three years ago in Prague by Turkish star Ali Kaya. Kaya, still only 24, also set a new national record on the day as he crossed the line ahead of Britain’s Lee Emanuel, with a blistering time of 7:38.42. After claiming his fourth major title in Prague, Kaya would go on to claim 10,000m silver at the European outdoor Championships in Amsterdam in 2016. We now know Sir Mo Farah as one of the most decorated athletes Great Britain has ever produced, but back in 2009 he was still in the hunt for a first major title. 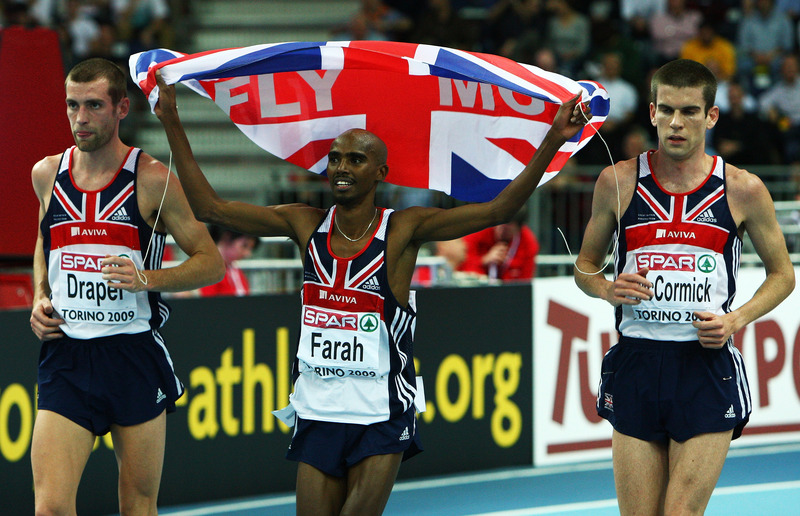 In early 2009 Farah had been busy breaking British indoor records and in March of that year claimed European Indoor Championships gold in Turin, in a time of 7:40.17. Farah has since admitted he was still getting over disappointment at not making the 5000m final at the 2008 Beijing Olympics and was determined to improve fast. In a sign of things to come, Farah went into the final as a hot favourite and dealt with the pressure superbly, breaking French steeplechaser Bouabdellah Tahri with five laps to go to seal a vital victory in his career. 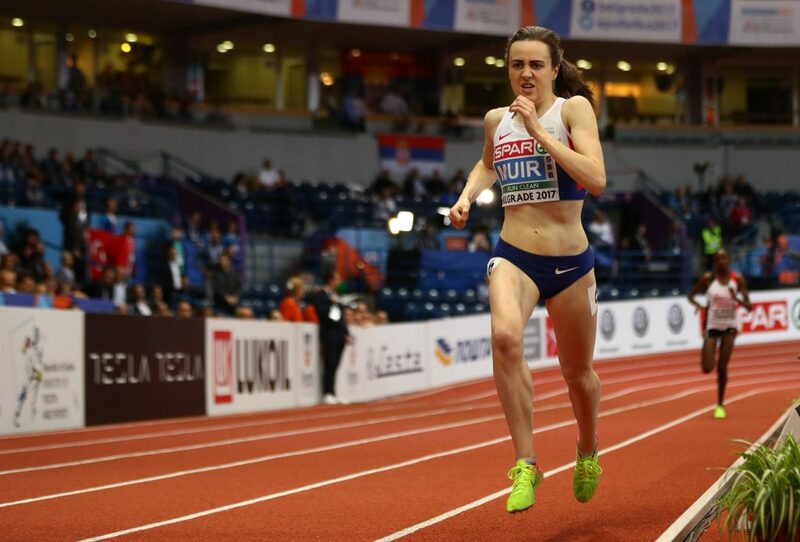 In Laura Muir we’ve already looked at the second woman to achieve the European Indoor Championships long-distance double, the first was Poland’s Lidia Chojecka. 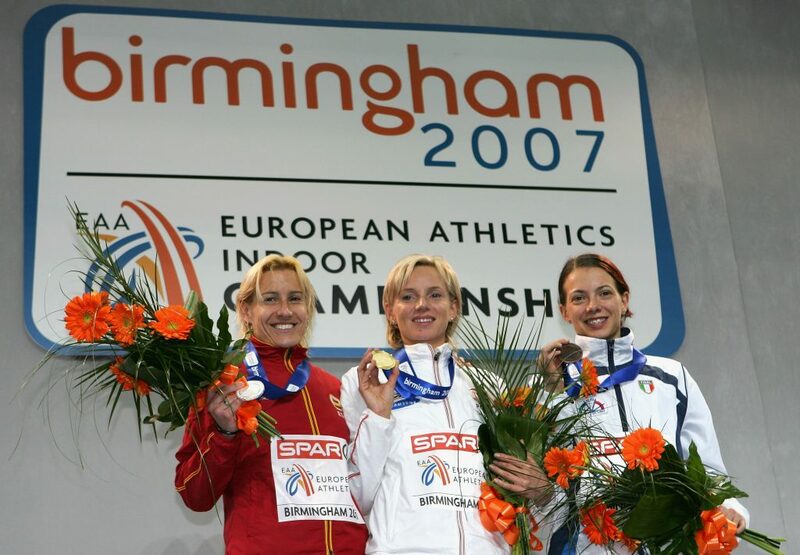 Chojecka had already claimed 3000m gold in Madrid two years earlier but went one better in Birmingham to create history. The Polish athlete was in her prime in Birmingham, at 30 years of age, and had the beating of her Russian rivals over 1500m on the second day of the championships. Chojecka than outsprinted two-time European 5000m champion Marta Dominguez – renowned for her prowess in championship racing – to defend her 3000m title the following day and seal a magnificent double. Ivan Heshko’s marvellous 2005 run in Madrid means he is still the men’s 1500m Championship record holder 13 years later. In the final, the Ukrainian runner was chased by three Spaniards – Juan Carlos Higuero, Reyes Estevez and Arturo Cassado – but wouldn’t falter, coming in with a lightning-fast time of 3:36.70. Heshko would go on to have an excellent 2006, wining 1500m European outdoor silver in Gothenburg and World Indoor Championship gold in Moscow.